OTTAWA — The federal government is announcing two B.C. First Nations have agreed to be members of a new environmental monitoring committee for the proposed $11.4-billion Pacific NorthWest LNG project. 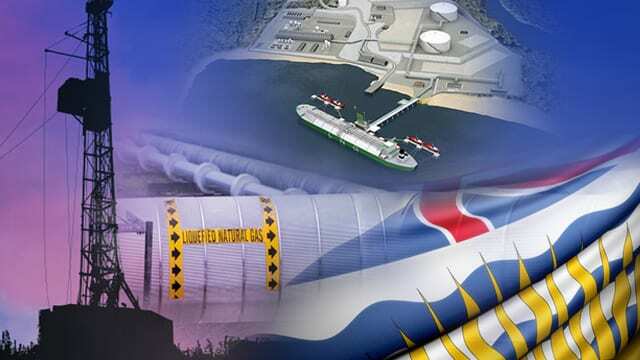 The government says the agreement, the first of its kind, will include the Lax Kw’alaams Band and the Metlakatla First Nation, Indigenous groups whose members have been split on support for the proposed export terminal near Prince Rupert on British Columbia’s northern coast. The project, which is majority owned by Malaysia’s state oil company Petronas, would place a natural gas liquefaction facility and export terminal on Lelu Island at the mouth of the Skeena River. Environment Minister Catherine McKenna announced in September the government would approve the project subject to 190 conditions, including a cap on carbon emissions. At least three legal challenges by First Nations have been launched to try to derail the project since then. Petronas said in October that it was reviewing the development and its conditions before moving forward. The federal government says that through Tuesday’s agreement, the two First Nations will work directly with provincial and federal authorities as part of a committee to ensure the project is developed in the most environmentally sustainable way possible. “We have always maintained the view that the environment is most important to us and with this agreement in place, it will help protect the fish, waters and lands in our traditional territory,” said Mayor John Helin of the Lax Kw’alaams Band in a statement.